Particles are the building blocks of the universe, shaping our very existence, as long as we view them as particles and not nebulous quantum objects! For centuries, scientists have sought to discover and understand more about these particles, trying to unlock the secrets of how our universe was created and what will happen to it in the future, and thankfully we have now discovered a lot of answers in recent years. 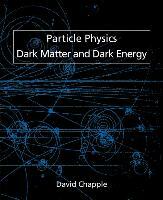 As an introduction to particle physics, which is aimed at physics undergraduates, this book discusses the range of quarks, leptons and bosons that we know or believe exist and the search for as yet undiscovered particles, including CERN's work on the Large Hadron Collider. The book also examines ways of testing whether or not an interaction would be possible or forbidden and also ways in which to identify unknown particles seen in a collision event. We also consider dark matter, what indicates that it exists and some possible candidates for it, and dark energy, the mysterious force that is actually causing the expansion of the universe to accelerate. David Chapple is a physicist who lectures in the OUDCE Department of the University of Oxford in particle physics, quantum physics and cosmology.